This billing invoice template for excel will calculate line item total. And payment details can be find in another worksheet named as “Company Setup”. If you are looking for a professional billing invoice template for MS excel, this billing invoice template can be used for you freely. 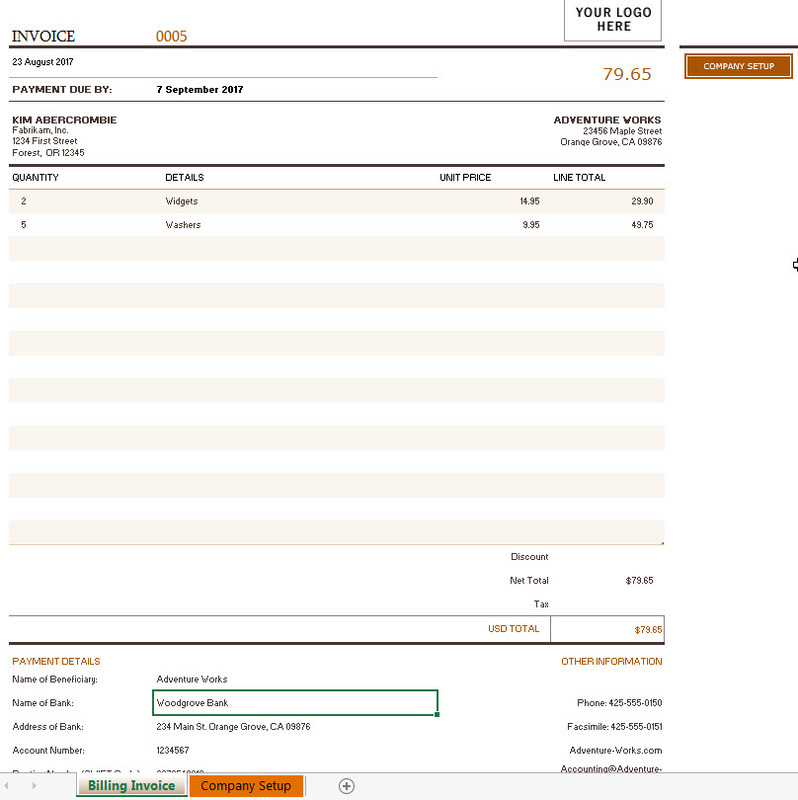 Tax: the default TaxRate is 0 in this invoice template, you can change the value of TaxRate in the Cell E26. USD TOTAL: The Total Amount will be calculated automatically in Cell E27. All company information is located in the worksheet “Company Setup”, so you need to edit it firstly. So this excel formula can be reduce to: =INDEX($C$3:$C$20, 14,0), it will return value “Adventure Works” from range “$C$3:$C$20“ on the index 14. How to get this free Billing invoice template in Excel? 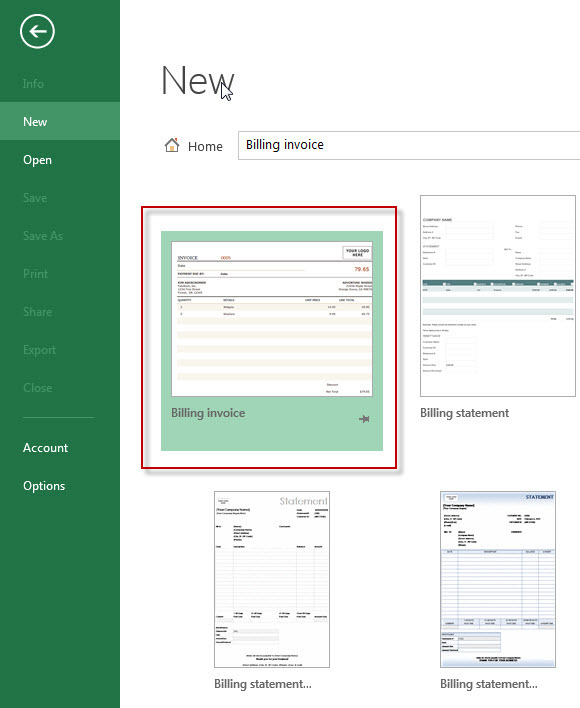 Click “File” Tab ->”New”, then input “Billing invoice ” to search online template in the search box. Click it.